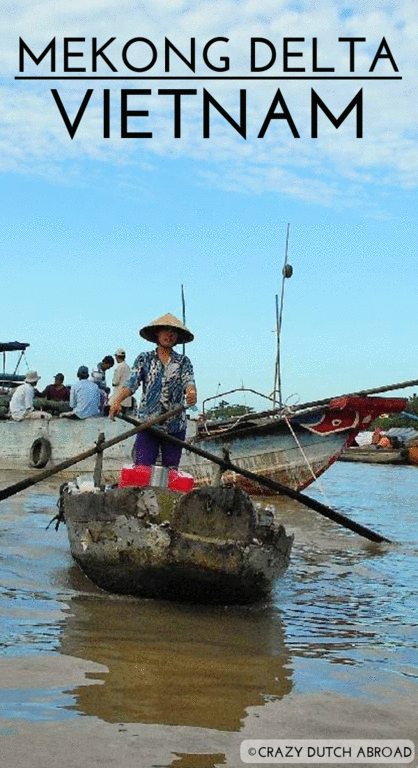 In the most Southern part of Vietnam you will find the Mekong Delta. It is very calm and charming due to all the green colors of nature combined with the rivers, channels and streams of the Mekong river. Floating markets can be found around in the bigger towns while the rural backdrop is unspoiled and less visited by tourists. Rural parts of the Mekong Delta. By (motor)cycling close to the Mekong river you will have an unique experience. You will have to look (or ask) around for the 'local' roads which will lead you through back gardens and narrow alleys to see local ways of trading. When asking locals where I was the whole village started to negotiate where they actually live on the map. They ended up pointing out a spot that was far away from the Google maps coordinates... Loved it! Translation pages and reading maps, all new. English is spoken in the cities and around touristic areas. If you go for a road trip, especially for the girls, learn how to pronounce 'toilet' in Vietnamese, to save you some strange hand signals. The Mekong Delta is famous for the floating markets. They start really early, finish around 8-9 am, and you will learn why if you are unlucky to have a boat without a rooftop. Seeing the trade going on over the water is amazing. Selling fruits, vegetables, rice and other food with boats bumping in to each other. Besides that, you have boats selling drinks and snacks along the way. Have sunset drinks at the Can Tho river side at D Hai Ba Trung. Forget to try some local food at the stalls of Central Market (night market). Hair dresser, nail studio, all-in-one. Can Tho Central Market food stalls. Queuing is not an option around Vietnam. Click here for Ho Chi Minh City!